MODERN DIESEL TECHNOLOGY: DIESEL ENGINES, Second Edition, provides a thorough, reader-friendly introduction to diesel engine theory, construction, operation, and service. 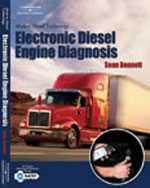 Combining a simple, straightforward writing style, ample illustrations, and step-by-step instruction, this trusted text helps aspiring technicians develop the knowledge and skills they need to service modern, computer-controlled diesel engines. The text provides an overview of essential topics such as shop safety, tools and equipment, engine construction and operation, major engine systems, and general service and repair concepts. 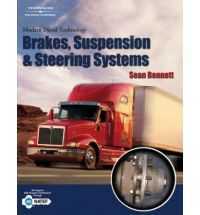 Dedicated chapters then explore engine, fuel, and vehicle computer control subsystems, as well as diesel emissions. 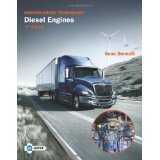 Thoroughly revised to reflect the latest technology, trends, and techniques—including current NATEF standards—the Second Edition provides an accurate, up-to-date introduction to modern diesel engines and a solid foundation for professional success. 2. Hand and Shop Tools. 4. Piston Assemblies, Crankshafts, Flywheels, and Dampers. 5. Timing Geartrains, Camshafts, Tappets, Rockers, and Cylinder Valves. 6. Cylinder Blocks, Liners, Cylinder Heads, Rocker Housings, Oil Pans, and Manifolds. 7. Lubricating Oil and Lubrication Systems. 8. Coolant and Cooling Systems. 9. Intake and Exhaust Systems and Turbochargers. 12. Engine Removal, Disassembly, Cleaning, Inspection, and Reassembly. 16. Diesel Fuel Injection Systems.